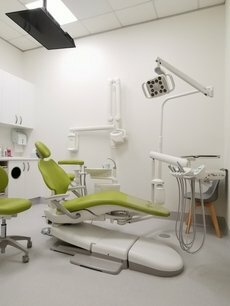 Passion Family Dental North Lakes provides all your general dentistry for common dental issues or following early detection (generally through regular dental appointments). Common issues that may require general dentistry include early signs of tooth decay, fillings that have been damaged, chipped or loose teeth as well as gum (periodontal) disease. Tooth decay, if left untreated, leads to the development of holes in the teeth, more commonly known as cavities. Cavities are often the result of poor dietary choices and oral hygiene practices. It is important to maintain regular checkups so that we can find and stop decay before it reaches the nerve of the tooth. We will restore the tooth by removing the decay and replacing it with a dental filling. If left untreated, decay may reach the nerve, meaning that a root canal would be needed to save the tooth. At Passion Family Dental North Lakes we only use composite fillings which are white or "tooth coloured". Technology for tooth coloured fillings has improved meaning your filings last longer and look great. We can also replace any old ugly amalgam fillings that may have cracked or decayed, with a new tooth coloured filling. Dentures are an affordable way improve your smile. We've witnessed firsthand how improving the look of your smile can really boost a person’s self-confidence. If you're feeling self-conscious about your teeth and avoid smiling in photos or in social situations you may find dentures the right option for your budget. The General Store Furniture & Homewares store is Perth's premier supplier of quality WA Made Jarrah, Marri & Recycled Timber Furniture and quality homewares. Securing your financial future through property investment. The safe, secure and simple way. Contact GB Galvanizing by filling in the form or call 03 8727 9300. If you are looking for job opportunities, fill in our job application form here.